From 2011 to 2017, there were approximately 100,000 emergency room visits and hospitalizations across Colorado for ski- and snowboard-related injuries. On a Sunday afternoon in February, a 6-year-old girl fell 29 feet from a chairlift at Eldora Mountain Resort and was rushed to the hospital with injuries. The incident prompted two moms in Boulder to launch an online petition demanding safety improvements. About 1,000 people signed it. Eldora responded, but their claim that such incidents are "extremely rare" did not sit right with the moms. "It said thank you for your feedback, but we basically stand by our public statement that says we're reviewing all of our policies," said Leigh Fiske, one of the moms. "But the problem with that is we don't know how rare it was because we can't get the data." Though the girl was attending ski school, the moms claim she wasn't properly loaded into her chair. This led Fiske and others to ask more questions about safety at Eldora, like why small children may ride lifts alone and what's being done to prevent future falls. But the moms said they couldn't even find out how many other similar chairlift incidents there were at the resort. All of this transpired as KUNC was in the midst of its own two-month investigation into safety at ski resorts, which led to the discovery of little-known data held by the state that documents thousands of ski- and snowboard-related emergency room visits and hospitalizations across Colorado each year. But scant specific-injury numbers are available from resorts. The only resort-specific injury information KUNC could find was a small sliver of the overall injuries — those that occur on chairlifts. Listen as KUNC's Michael de Yoanna investigates safety at Colorado's ski resorts. The state agency that oversees lifts — the Colorado Passenger Tramway Safety Board — provided a spreadsheet after KUNC filed an open records act request. It happened to answer one of the questions the moms in Boulder have been asking. It showed two other recent chairlift falls at Eldora, both in 2015, with one involving a child. It also provided an overview of chairlift incidents in recent years. Between January 2013 and March 2018, there were 74 falls or slips from chairlifts at resorts around the state. About a third of those were children. KUNC tracked down some of those injured through incident reports that resorts file with the board after someone is injured on a chairlift, including 12-year-old Jacob Keeping of Castle Rock. He was dangling from a chairlift at the Granby Ranch resort in February 2018. Aimee Keeping and her 12-year-old son, Jacob, who fell from a chairlift at a Colorado resort last year. "I was yelling at the top of my lungs," Jacob Keeping said. He said he held onto the back of the chair in a stretched out position for several minutes as another boy on the lift, about his age, encouraged him to hang on. "When I dropped I thought I was dead," he said. "Well, not dead, but I thought I was going to die." The report on Jacob Keeping was filed by the resort. It read: "To the best of our knowledge the child (Jacob Keeping) turned sideways on the carrier to look behind and then slipped and fell to the ground." Jacob Keeping and his mom, Aimee, dispute the resort's narrative. They claim that lift operators were not paying attention and missed the boy's cries for help. The Keepings added that their side of the story was not included in their report. An official with Granby Ranch referred KUNC to Colorado Ski Country USA, a state trade association, for comment on the case. The organization did not return a request for comment about that case. Lindsey Jackson of Tampa, Florida, was sightseeing during a visit to a Colorado resort in 2017 when her 3-year-old son, Carter, suddenly fell out of a chairlift and plunged to the ground. "At this point, we're about 25 feet up in the air and I heard a scream and I looked back and my son is on the ground," she said. "I blacked out for a little bit out of sheer terror." Her son had been riding in the chairlift behind her with her husband. Luckily, the child wasn't seriously hurt. The parents felt they had done everything right. It was their first time on a lift and they say they followed safety instructions. "We had told him to be safe and sit back," Jackson said. The boy fell out through the back of the chair. For most injuries, according to tramway board reports reviewed by KUNC, the "cause" of chairlift falls was attributed to "skier error," including the cases of Carter Jackson and Jacob Keeping. KUNC asked the state tramway board what more it does after chairlift falls that are found to be the fault of the passengers. The board declined requests for an interview, but in an email said their focus is limited to the "structure and mechanics of the lift." "The ski areas may be able to assist you with questions regarding safety initiatives for skiers," Lee Rasizer, a spokesperson for the board, said in the email. Dave Byrd, director of risk and regulatory affairs for the Lakewood-based National Ski Areas Association, a major trade group, added that resorts educate passengers about proper chairlift use. He cited the long-standing skier responsibility code that states people must "know how to use the lifts safely," even children. "There is a consistency of human error, which is why we as an industry and individual ski areas focus on guest education in loading, riding and unloading chairlifts," Byrd said. But Larisa Wilder, one of the Boulder moms alarmed by the Eldora incident, said that the code goes too far by holding passengers, especially small children, so accountable. "Anatomically and developmentally, they are not capable of putting themselves on that lift," Wilder said, noting children are permitted to ride in chairs that were built with adults in mind. Wilder added that there needs to be more accountability on operators when there are chairlift falls and that the state tramway board should investigate falls independently to ensure future passengers don't face the same hazards. Eldora officials declined to be interviewed. In an email they told KUNC: "We take safety seriously, from the way we train our teams to the way we operate the resort," adding that in the wake of the incident they are reviewing all policies and procedures related to children on lifts. The moms have begun reaching out to state lawmakers with questions about safety on chairlifts, like whether restraint bars should be required. Currently state law does not require their use, even on the lifts that have them. Falling from skis accounted for nearly 57 percent of ski- and snowboard-related injuries reported by Colorado hospitals and emergency rooms in 2017. Chairlifts are not the only place where people can be injured at resorts — the vast majority of injuries take place on the slopes. When asked about them, the National Ski Areas Association told KUNC there were 37 catastrophic injuries at resorts across the country for the 2017-18 ski season. Catastrophic incidents include a broken neck or back, or life-altering head injuries or paralysis, Byrd said. "The rate of catastrophic injuries per one million skier visits remains below one in one million," Byrd said. Resorts also track what they consider to be less serious injuries. "The individual ski patrols at ski areas are tracking those and analyze them — everything from a slip and fall in a parking lot to a cocoa burn in the lodge to sunstroke to a torn ACL," he said. But resorts do not release information about those lesser injuries. Byrd said resorts fear doing so for business reasons. "Eagle Mountain Ski Area, a hypothetical ski area, doesn't want its competitors to know how many skier visits they had," Byrd said, adding that injury data would only be useful if resorts put it in the context of overall visits. So KUNC turned to another source for information on ski-related injury statistics in Colorado: the state's public health department, which maintains a massive hospital insurance claims database. In 2017, there were 5,660 emergency department visits for skiing or snowboarding incidents as well as 597 hospital discharges in the state. Going back to 2011, there have been roughly 100,000 such hospitalizations. Some causes? "Fall from skiing," said Kirk Bol with the Colorado Department of Public Health and Environment's vital statistics section. "Fall from snowboarding or hitting a tree while skiing or snowboarding. Those types of things. Or at least a collision of some form." There are limits to the data. For instance, it doesn't say where the accidents took place. The information isn't being utilized by the health department for any specific initiative, Bol said. Dan Gregorie, the president of the California-based SnowSport Safety Foundation, said the state should reconsider that. He also criticized resorts for only sharing catastrophic injuries information with the public. "It's in the interest of the ski resorts to play down the accident and injury risk at ski resorts," Gregorie said. In a lengthy email, Byrd said the industry is sharing what it views as reliable. Peer-reviewed epidemiological studies based on reports from "representative ski areas" that are conducted once a decade are a better source than hospital data, he added. 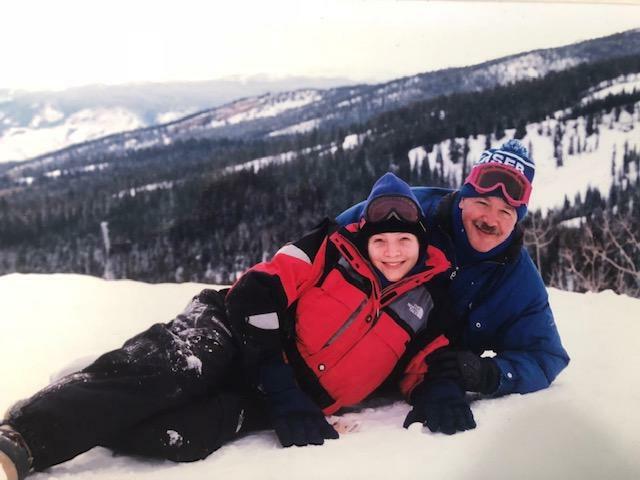 Dan Gregorie founded the SnowSport Safety Foundation after the 2006 death of his daughter, Jessica, in a snowboarding incident. Gregorie, a physician who started his foundation after his daughter's death in a snowboarding crash more than a decade ago, disagreed. "If a patient has to be admitted to the hospital in today's world because of an injury, that's a serious injury," Gregorie said. "We don't admit people for minor things and people go to emergency rooms for fairly serious injuries." He said that there are many safety hazards at resorts that are beyond the control of visitors. He wants to see states require resorts to file safety plans that would be available to the public. The plans, he said, should include details like injuries and what's being done to prevent them. His organization is currently pushing for legislation in Maine to require that. That kind of idea appealed to the moms in Boulder, who say resorts advertise themselves as family friendly but there's no way to know for sure which ones are safe or dangerous. "I think a lot of parents would choose their passes, choose their ski school, based on what's safest for their kids," Fiske said, noting there are annual reports for the best hospitals or universities. Ski lawyers Joseph Bloch and Trent Ongert, who have an office in Denver, said such information could be eye-opening, especially because of state law that says skiers assume the legal responsibilities from injuries "resulting from any of the inherent dangers and risks of skiing." "You have to assume the risk in skiing," Bloch said. "That's what it says, the skier safety act. So shouldn't we know what those risks are if we're assuming those risks?" The ski industry's answer is to educate people about the "Your Responsibility Code" — a seven-point statement the industry adopted in 1965 with rules like avoiding skiers ahead of you — that also holds skiers and snowboarders legally responsible for their actions. But the lawyers say few people are aware of exculpatory clauses, or one-way waivers, that make bringing cases against resorts difficult when someone is injured. "If a ski area is negligent, you should be able to sue them," Ongert said. "But what the lift ticket says is any kind of damages, whether it is punitive or otherwise — or hurt you on purpose, which is basically what punitive are — you still can't sue." The ski industry's "responsibility code" holds skiers and snowboarders legally responsible for their actions. KUNC identified several incidents where people were injured at ski resorts, but were deterred by lawyers from bringing cases forward. That was the case after Chris Arnis, a lifelong skier and ski coach from Steamboat Springs, was paralyzed during a ski crash at Steamboat Resort. He said he skied into an area where barriers had been removed, leaving a deep rut in the snow that he did not see until it was too late to react. "My ski got popped off due to the impact of hitting it and I went into a forward dive and basically landed on my head," Arnis said. Loryn Kasten, a spokesperson for Steamboat Resort, said the incident happened at the end of the day as the resort was preparing for the next day. "There are certain protocols that the resort takes after operating hours, including removing barriers so that our grooming machines can prepare the slopes for the next day and make the mountain safe," Kasten said. Arnis believes the resort had a responsibility in his crash and wanted to take a case to court. When he spoke to lawyers, he said they told him "there's no way they could win a case or even have a judge give you a case." Aimee Keeping also considered going to court to recover medical costs after her son fell from the chairlift. "Both lawyers that I reached out to told me because I signed the waiver at the ski school, they (the resort) were totally in the clear," Aimee Keeping said. Even though Jacob Keeping was only bloodied and bruised from his fall, the family incurred about $5,000 in medical costs. That included a trip to the emergency room where doctors were relieved that he didn't have a head injury and, later, therapy for Jacob Keeping's severe anxiety. "It's uneasy, but I can talk about it now without going into full panic mode," he said. As Ski Resorts Merge, Do They Actually Offer Better Deals For Skiers? Jim Schmidt is the mayor of Crested Butte. This mountain town in central Colorado is home to the most recent in a slew of acquisitions by Vail Resorts. Schmidt is quick to clarify. "They bought the ski resort, they did not buy the town, they did not buy our souls," said Schmidt. That said, he says locals are a bit nervous. For generations, the siren song of deep powder and steep inclines has lured starry-eyed young people into the time-honored tradition of "ski bumming." The phrase is as much a term of endearment as an aspiration to a life lived simply: Pick a mountain, find some roommates, and ski or snowboard as much as humanly possible. But decades of corporate mergers and tourism are turning once-scrappy ski towns into high-end resorts, leaving the alluring glow of ski bum life to grow dim in much of the Mountain West.